Album/Scrap Book is made out of white fabric with a silver metal frame in the middle. The pages are white 8"x8" 2 sided. 20 pages (10 sheets) are included as well as plastic sheet protectors. Also included is 2-sided tape and metallic markers. Albums are included for weddings only. BoothMN.com offers real, fun and professional photo booths! We service the entire state of Minnesota and beyond. We use only pro-grade camera gear, printers and software to ensure great quality pictures! Our Minnesota Photo Booth Rentals are designed to allow several guests at a time and your group can comfortably stand instead of sit in a cramped bench. Our Minnesota Photo Booths are designed to allow several guests at a time and your group can comfortably stand instead of sit in a cramped bench. 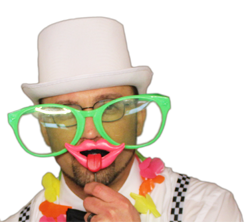 Why choose us as your Minnesota Photo Booth provider? We have an operator with every photo booth or portable photo station, so there isn't anything to worry about except having a great time! Delivery and setup is included in all packages and done by our staff. We let you choose what works best for you, your guests and of course your budget. You can allow your guests to have unlimited visits to the booth. You can have a copy put into a scrapbook or album. We can post the photo's online so your guests can see and share the photo's after the event. 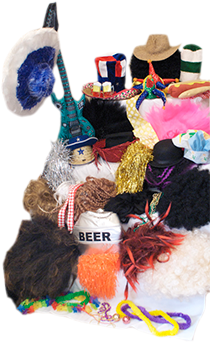 Hats, wigs and props are always included with no extra cost! There are many options for Minnesota Photo Booths, be carefeul and make sure you get what you pay for! 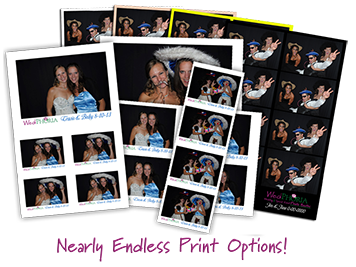 Prints On The Spot: High quality color or black and white prints are available with every MN Photo Booth Rental. 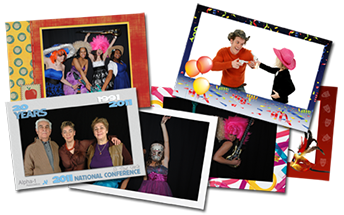 Try out our Professional, Fun, and Affordable Photo Booths in Minnesota! Add your site to cotid.org the coolest of website directory for free!